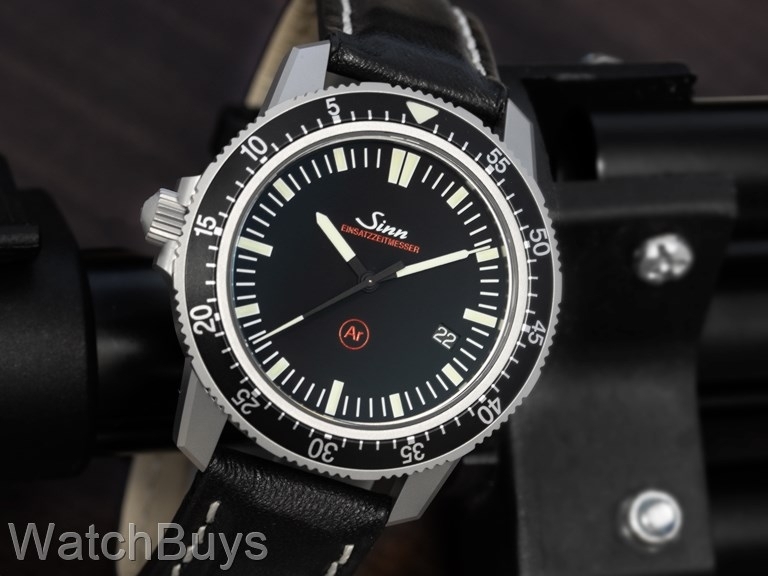 Another difference is the date - Sinn has made the date indication in white rather than red for increased legibility. Verified Owner Comments: This has become my favorite watch! Form Follows Function puts crown at 9 position. I love it! Looks great w/ leather strap, due to heat wave, changed to rubber strap. At 41mm OD, it's truer to the EZM1, and my wrist! I will cherish the EZM1.1 at 43mm OD I have on order. Unless I use chronograph a lot, I can't tell which watch will be on my wrist the most! THANK YOU SINN for producing a EZM3 with a much cleaner dial design. Rated at ONLY: 20BAR, 200m, 660ft! This is a relatively thin watch, (11.7mm), I don't have to think about if I jump into a pool, or on vacation. Isn't that why most of us own a Divers watch? Superb build quality it's that good!